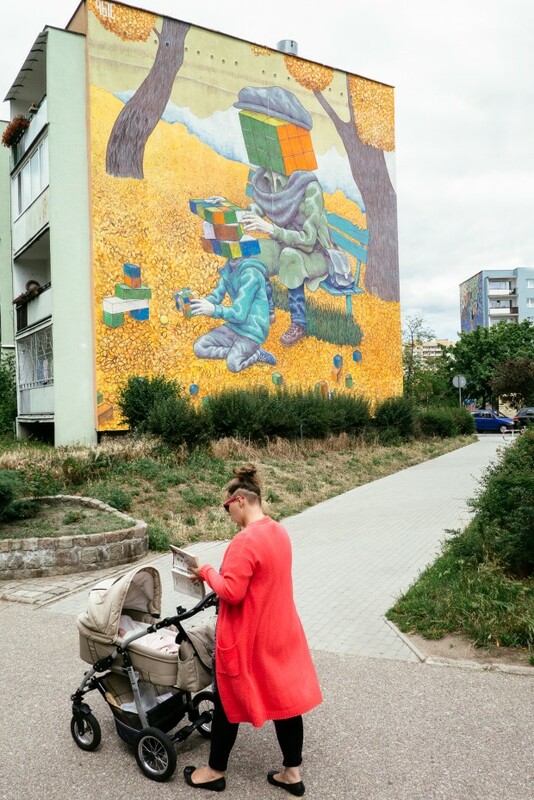 The mural tells of the relations between a parent and a child. According to Rustam Qbic, the harmonious development of a child demands that the parent sorts out his or her own knowledge and experience before they are able to pass them on to their children through playing and learning. Rustam Qbic lives in Kazan in Russia. His works are surreal depictions of people, houses, plants, and animals. Practically, each of his works is a “grower” full of interesting ideas and references you cannot see at first. His works can be found in Nizhny Nowgorod, Magnitogorsk, Moscow, or Saint Petersburg.